Pedro Figari, Off for the Honeymoon, 1918/1925. Oil on particle board. The exhibition Pedro Figari: African Nostalgias refers to the title of one of his paintings, and includes a profusion of daily scenes, conveying dignity and complexity to the Afro-Uruguayans — there are groups that dance candombes and bailongos, live in the courtyards of collective houses or perform traditional funeral ceremonies. 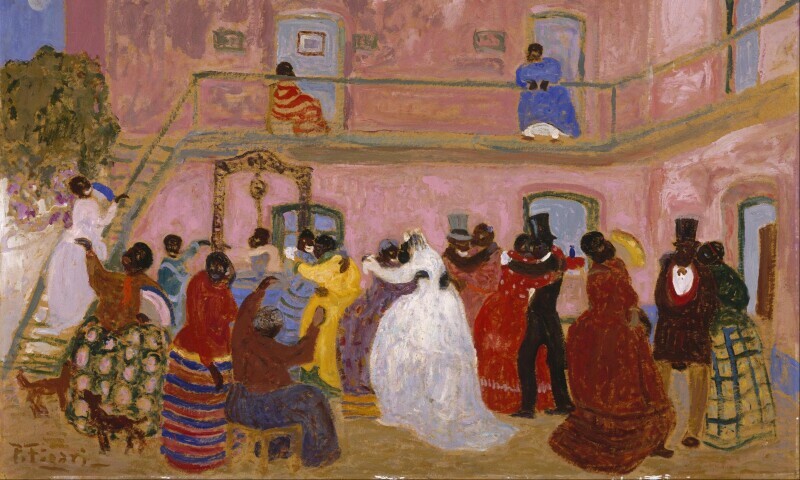 Although the scenes that Figari painted can not be considered a faithful historical record, they represent the desire to recognize the historical and cultural importance of the Uruguayan populations of African origin in urban contexts — not only in the world of work, nature and eroticism, as they often are in Brazil.